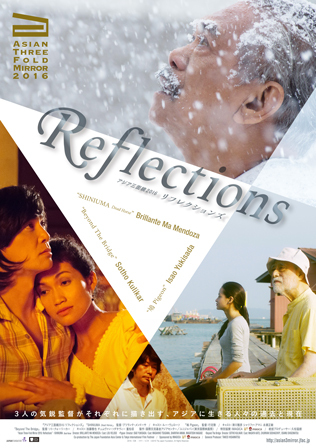 The Tokyo International Film Festival (TIFF) and the Japan Foundation Asia Center today unveiled the official poster and trailer of Asian Three-Fold Mirror 2016: Reflections, the first of the omnibus film series co-produced by the two organizations. The poster and trailer designs were created to evoke the title, signifying new points of light reflected from the mirrors of history and culture. Asian Three-Fold Mirror 2016: Reflections will have its world premiere on October 26 at the 29th edition of TIFF, to be held from October 25 to November 3, 2016, and will then be shown on the international film festival circuit. Asian Three-Fold Mirror 2016: Reflections marks TIFF’s first-ever foray into film production. This Asian Three-Fold Mirror project brings together three talented directors from Japan and other Asian countries to co-create a series of short films with a common theme. The first of the omnibus film series highlights the theme of “living in Asia,” with three works that depict the lives of characters who journey between Japan and Cambodia, the Philippines and Malaysia. TIFF is pleased to announce the title of the first series, Asian Three-Fold Mirror 2016: Reflections, signifying new points of light reflected from the mirrors of history and culture. 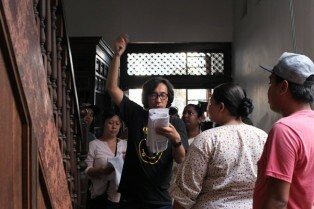 The project framework requires the directors to include a character who is connected in some manner to another Asian country, and to shoot on location in an Asian country. The rest is left to each director’s unique style as they weave the project’s main theme into their work. Asian Three-Fold Mirror 2016: Reflections will have its world premiere at the 29th Tokyo International Film Festival, followed by presentations at other major film festivals around the world. SHINIUMA Dead Horse, the episode directed by Brillante Ma. Mendoza (Philippines), depicts an illegal Filipino immigrant in Japan who returns to his homeland for the first time in decades after being deported. Internationally acclaimed director Mendoza has been known for deft portrayals of ordinary Filipino men bravely and proudly overcoming extraordinary situations. This time around, he grapples with the issue of the loss of national identity and home, setting his story in Obihiro area of Hokkaido and Manila. Lou Veloso, one of the Philippines’ most heralded actors, known for his role in the Hollywood film The Bourne Legacy, plays the lead. Pigeon, the episode directed by Isao Yukisada (Japan), is set in Malaysia, a land that was once invaded by the Japanese army but is now home to many Japanese retirees living out their remaining years. The story revolves around an elderly man who has parted from his family in Japan to live on an estate with a pigeon coop, and depicts discord with his son and his relationship with a young female Malaysian caretaker. His distant memories of the Pacific War at Plau Penang also come back to him. The film stars one of Japan’s most celebrated actors, Masahiko Tsugawa. Opposite him is Sharifah Amani, the muse of the late, great Malaysian director Yasmin Ahmad. Playing Tsugawa’s son is international favorite Masatoshi Nagase. Sotho Kulikar’s (Cambodia) episode, Beyond The Bridge, is a love story that transcends time and borders. Her second film following her award-winning directorial debut, The Last Reel (14), it portrays a love story that begins in Cambodia against the backdrop of the nation’s civil war and the Cambodia-Japan Friendship Bridge located in Phnom Penh. The piece stars Masaya Kato, a prolific Japanese actor who is active internationally. Playing opposite Kato is Cambodian dancer-choreographer Chumvan Sodhachivy, who recently appeared in Amon Miyamoto’s theatrical production “The Terrace of the Leper King in Japan”. The Japan Foundation Asia Center and the Tokyo International Film Festival (TIFF) announced today the main cast for the omnibus film co-production project Asian Three-Fold Mirror, which was launched in 2014, as part of the collaboration between the Japan Foundation Asia Center and TIFF. The project aims to deepen interactions between neighboring countries within Asia, as well as enriching cultural understanding and providing chance for people to consider their identity and way of life as individuals in Asia. 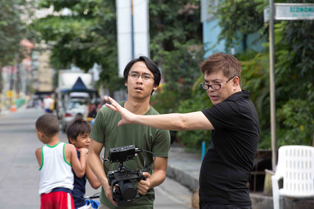 As previously announced, three accomplished directors from Asia have been selected to contribute chapters to the first iteration of the Asian Three-Fold Mirror: Brillante Ma. Mendoza (Philippines), Isao Yukisada (Japan) and Sotho Kulikar (Cambodia). 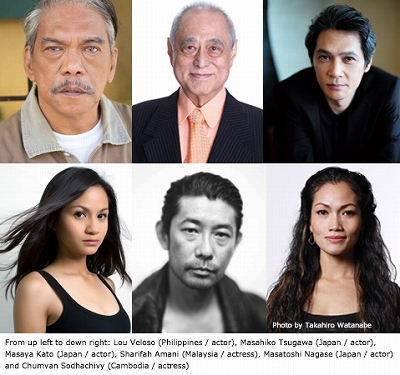 Today it has been confirmed that acclaimed Filipino actor Lou Veloso will be starring in Mendoza’s episode, and one of the most famous Japanese actors, Masahiko Tsugawa, will be starring in Yukisada’s chapter, along with Japanese actor Masatoshi Nagase and Malaysian actress Sharifah Amani. Japanese actor Masaya Kato and Cambodian actress Chumvan Sodhachivy will be appearing in the episode by Kulikar. 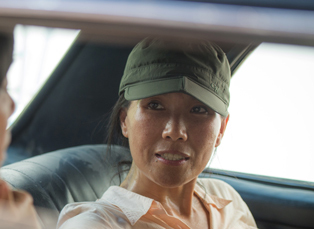 The protagonist of each chapter is an Asian living in a different Asian country, allowing the directors to express their own unique visions and film on location in Asia and to create one omnibus film. The directors will be shooting in Japan, the Philippines, Cambodia and Malaysia from February to April 2016, followed by post-production at the highly regarded laboratory in Asia, Imagica South East Asia (http://www.imagicasea.com), in Malaysia in summer 2016. The omnibus film will have its world premiere at the 29th edition of the Tokyo International Film Festival, to be held from October 25 to November 3, 2016, and will then be shown on the international film festival circuit. Internationally acclaimed Filipino director Mendoza has been known for deftly portraying Filipino stories of ordinary men bravely and proudly overcoming extraordinary situations. This time around he plans to grapple with the issue of “loss of one’s national identity” through an intimate portrayal of an illegal Filipino immigrant in Japan who returns to his homeland for the first time in decades after being deported. Lou Veloso is a Filipino actor, comedian, director and politician. In 2009 Veloso appeared in Colorum (screened at TIFF 2011), which earned him numerous award nominations and wins for five Best Actor awards, including at FAMAS (The Filipino Academy of Movie Arts and Sciences Awards) and the Brussels International Independent Film Festival. Veloso also established a community theater in Santa Ana, Manila where he teaches acting. In 2010, Veloso received the Lou Salvador Sr. Memorial Award from FAMAS for his great career and astounding comedic prowess on screen. More recently he appeared in the Hollywood film The Bourne Legacy (2012). Veloso has worked with director Brillante Ma Mendoza in Kinatay (2009) and Trap (screened at TIFF 2015). (2015). I am proud to be part of the Asian Three-Fold Mirror Project, and am especially happy to come to Japan, which is my favorite country. The landscapes of Japan have beauty and discipline. Painting on a variety of canvases, from coming-of-age dramas to mature love stories, Yukisada has depicted diverse characters and their interrelations. This time around he sets the story in Malaysia, the land that was once invaded by the Japanese army but is now home to many Japanese retirees living out their remaining years. The story will revolve around a man who has relocated from Japan and his relationship with a young Malaysian woman who has come to take care of him. Masahiko Tsugawa made his debut in 1956, starring in the Nikkatsu youth classic Crazed Fruit, directed by Ko Nakahira. The thespian is known for his wide range, portraying both leading men and villains, appearing in such works as Kichitaro Negishi’s Hitohira no Yuki (1985), Juzo Itami’s A Taxing Woman (1987), Kaneto Shindo’s The Strange Tale of Oyuki (1992), Kinji Fukasaku’s Crest of Betrayal (1994), Shunya Ito’s Pride (1998), Momoko Ando’s 0.5 mm (2014), Izuru Narushima’s Solomon’s Perjury 2 (2015), Yasuo Tsuruhashi’s Gosaigyô no Onna (2016) and Yoshinari Nishikôri’s Tatara Samurai (to be released in 2017). He has also directed many films under the name of Masahiko Makino, including A Hardest Night!! (2006), Samurai Gangsters (2008) and Asahiyama Zoo Story: Penguins in the Sky (2009). It’s a wonderful script. I think it depicts a wonderful contrast between the way of the `pigeon’ and the way of the old man. In the end, the old man entrusts the pigeon with everything. Whether the pigeon will meet the old man’s expectations is for everyone to see. Masatoshi Nagase debuted in Shinji Sōmai’s P.P.Rider (1983), and attracted worldwide attention for his role in Jim Jarmusch’s Mystery Train (1989). He has received many awards, including major Japan Academy Prizes, among others, for his roles in Yôji Yamada’s Musuko (1991), Gakko II (1996) and The Hidden Blade (2004), and Takao Okawara’s Yûkai (1997). He has performed in over 90 films. The “Shiritsu Tantei Hama Mike” series was popular both in film and on TV. More recently he was nominated for the Golden Horse Award Best Male Actor for the first time as a non-Chinese speaking actor for his role in Kano (2014, Ma Chih Hsiang). He also starred in Naomi Kawase’s Sweet Bean (2015),an official selection in the Cannes Film Festival, Shô Igarashi’s The Cross (2016), Gakuryû Ishii’s Bitter Honey (2016), Takahisa Zeze’s 64: Part 1 and 2 (2016), and Yasuo Tsuruhashi’s Gosaigyô no Onna (2016). Jim Jarmusch’s Paterson and SABU’s Happiness are yet to be released. He has also shown a number of photos as a photographer. Sharifah Amani is an award-winning Malaysian actress, director and writer who is best known as the muse of the late, great Malaysian director Yasmin Ahmad, in Sepet (TIFF 2005), Gubra (TIFF 2006), Mukhsin (TIFF 2006) and Muallaf (TIFF 2008). She was an assistant director for Ahmad’s last feature film Talentime (TIFF 2009). She has also directed Sangkar, Kampung Bangsar and Eve (all of these are shorts). Amani’s roles also include Psycho Pencuri Hati (Dir:Nam Ron), Nova/Terbaik Dari Langit (TIFF 2014) and Pekak(2016). Amani has also starred in a Japanese film, Redemption Night (2013), directed by Takato Hosoi. To be part of this short film is such an honor for me. I love Japan and its rich culture. I have been blessed to be able to visit, work and learn from some wonderful people there. The Japanese people have embraced Yasmin Ahmad films with much love and appreciation. For that I am eternally grateful. It was a pleasure to be part of Redemption Night and I can’t wait to be part of Isao Yukisada’s Pigeon. May our two countries continue to work together in the future. Sotho Kulikar’s directorial debut The Last Reel was a glimpse into the history of Cambodian cinema, which was almost entirely eradicated by the Khmer Rouge, but a film that still managed to end on a hopeful note. This work will be her second film. Set in two periods, the film threads a love story that begins in Cambodia against the backdrop of the nation’s civil war with the Cambodia-Japan Friendship Bridge. Masaya Kato started his career as a model for fashion magazine Men’s Non-No and the Paris Collection before he turned to acting. He has appeared in numerous television programs, theater productions, and Japanese and international films including Christophe Gans’ Crying Freeman (1996), Takeshi Kitano’s Brother (2001), Gordon Chan’s Okinawa Rendez-vous (2001), Takashi Miike’s Agitator (2002), Yang Yun-ho’s Fighter in the Wind (2004), and Tung-Shing Yee’s Shinjuku Incident (2009). In addition to Takashi Miike’s Terra Formars and Yukihiko Tsutsumi’s Sanada 10 Braves, Kato also has four more films to be released in 2016. He is star of Bô no Kanashimi (Hidehiro Ito) due to be released in November, 2016. I am very happy to have the opportunity to team up with a Cambodian filmmaker for the first time. I hope to bring a certain pathos and sadness to Sotho Kulikar’s film as she brings her unique vision to a story about two lovers of different countries and tongues. Much like Fukuda, the protagonist in the film, I shall strive to build a bridge of friendship between the filmmaking communities of Japan, Cambodia, and Asia through this endeavor. I am already looking forward to working on set with our Cambodian crew. Chumvan Sodhachivy is proficient in Cambodian folk dance and shadow puppetry, and began training in Cambodian classical dance in 1994, focusing mainly on the male role in the all-female classical court form. In 2006 Sodhachivy was accepted into Robert Wilson’s Watermill Center International Summer Arts Program, where she studied contemporary dance. Since then, she has participated in numerous contemporary dance workshops around the world. She has been a featured dancer in many works by Emmanuèle Phuon, Peter Chan and Alco Lents and toured internationally. Sodhachivy has also choreographed many dances. More recently she was a featured dancer in Stravinsky’s “Persephone,” directed by Peter Sellars at the Teatro Real in Madrid and Amon Miyamoto’s “The Terrace of the Leper King”, based on the work by Yukio Mishima. Brillante Ma. Mendoza, who founded the independent film production company Center Stage Productions, won the Golden Leopard Award at the 2005 Locarno International Film Festival for his debut film Masahista (The Masseur). He won the Caligari Film Award at the 2008 Berlin International Film Festival for Tirador (Slingshot) and the La Navicella Venezia Cinema Award at the 2012 Venice Film Festival with Thy Womb. He also won the Best Director Award at the 2009 Cannes Film Festival for Kinatay. His latest film, Taklub (Trap) was selected for the Un Certain Regard section of the 2015 Cannes Film Festival. Isao Yukisada made his feature film debut with Sunflower (2000), which won the FIPRESCI Award at the 5th Busan International Film Festival. He also won numerous awards for Go (2001), including the Japan Academy Prize. He has cemented his status as a hit filmmaker with the box-office hits Crying Out Love, in the Center of the World (2004), Year One in the North (2005), Closed Note (2007), Parade (which won the FIPRESCI Award at the 60th Berlin International Film Festival in 2010), and other films. He made Camellia (2011) in collaboration with directors from Thailand and South Korea. His latest film, Pink and Gray, was released in January 2016 and became a big hit. Sotho Kulikar grew up during the Khmer Rouge regime and the long-running civil war. She worked as line producer for a variety of films, including Lara Croft: Tomb Raider (2001). Through her production company Hanuman Films, she has produced many films and documentaries, including Ruin (which won the Special Orizzonti Jury Prize at the 2013 Venice Film Festival). She made her directorial debut with The Last Reel, which won the Spirit of Asia Award from the Japan Foundation Asia Center at the 27th Tokyo International Film Festival in 2014, and the Black Dragon Award at the 2015 Far East Film Festival. The Asian Three-Fold Mirror is a collaborative film series between the Japan Foundation Asia Center and the Tokyo International Film Festival, bringing together three accomplished directors from Asian countries, including Japan. Just like a three-fold mirror, the omnibus films will reflect society and culture in today’s Asia from three different angles, highlighting each director’s unique vision.